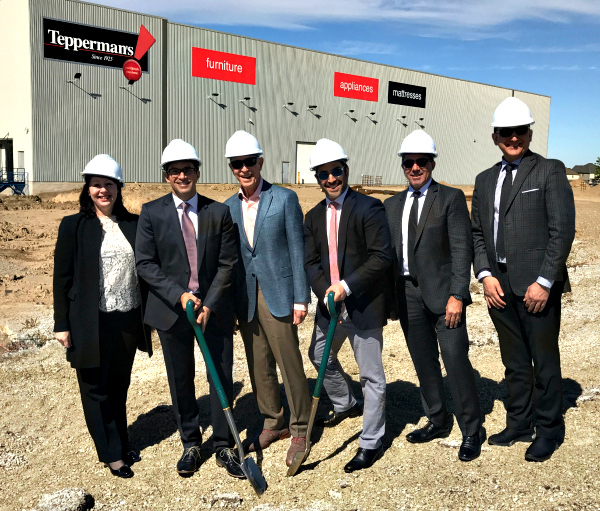 LONDON – Tepperman’s, the regional family-owned-and-operated powerhouse, has broken ground on a major expansion of its existing 100,000 square foot distribution centre here. When completed sometime this fall, the project will add an additional 47,000 square feet of warehouse space to the facility, from which the company stage its future growth throughout the southwestern Ontario market. This is the second project the company has embarked on recently. It also broke ground to build a new, larger store to replace its outlet in nearby Sarnia, Ontario. The new facility will cover 40,000 square feet and is expected to open sometime in early next year. A full-line furniture, mattress, major appliance and electronics retailer, Tepperman’s has been in business since 1925 when founder Nate Tepperman launched his company by selling household goods door-to-door. Currently, the retailer operates total showroom space of more than 250,000 square feet across five stores in Windsor, London, Sarnia, Chatham and Kitchener with a work force of more than 450. The expansion is scheduled to be completed by fall 2017 by the Fortis Group, who finished the spectacular White Oaks Mall renovation earlier this year. “This major investment is a testament to our confidence in London and southwestern Ontario. 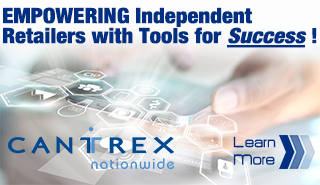 Immediate inventory availability and order fulfillment is critical in meeting today’s consumer expectation. This will improve how we serve, not just our local London customer base, but will allow us to expand our reach further into the province,” Andrew Tepperman, the company’s third generation president said in a statement.